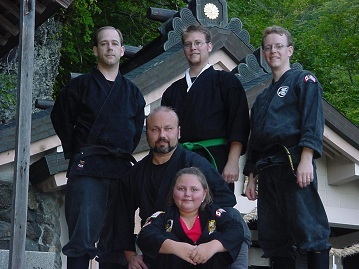 Join the Shidoshi on his annual Japan Ninjutsu Training Trip with the Masters! 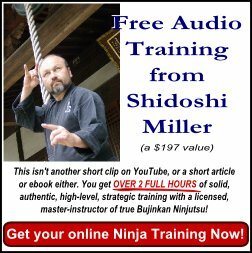 Join Shidoshi Miller for His Annual Japan Trip to Train with the Masters of Ninjutsu! Here is a chance for you to be a part of the Shidoshi's yearly Japan Trip. Join other dedicated students just like yourself on this awesome and powerful adventure. Trained when he was a student just like you! Find out how to be a part of one of the Shidoshi's next trips to train with the Grandmaster and master-teachers of Ninjutsu! Click here to get on the priority notification list! Let the Shidoshi be your guide on a trip unlike any you've probably ever taken. He'll relieve you of the stress and confusion of finding your way and free you to relax and enjoy the experience of a lifetime! You will see a Japan that most tourists never will! ...getting as much travel, exploring, and site-seeing in as possible! ...where to find the best deals. ...the Shidoshi takes care of it all! ...will YOU be joining him in Japan this year?! Click on the picture to see a special video created by one of Shidoshi Miller's students AFTER returning from one of these powerful trips. Click the link below to get on the priority notification list and find out how to be a part of the Shidoshi's next training trip to Japan!